Bijou After Hours is a late-night film series featuring cult classics, fan favorites and modern genre films. Free admission for UI students with valid ID. $6.50 for general public. Tickets available at the door only. "Much funnier than it has any right to be, and filled with just enough inside jokes to please longtime fans of the cartoon franchise." "As clever, mysterious, and inventive as an episode of the popular cartoon series, a high compliment indeed." "The monsters re the highlight of the film, and if history is any guide, there will be more ghosts and evildoers for our wholesome heroes to battle in Scooby-Doo 3." 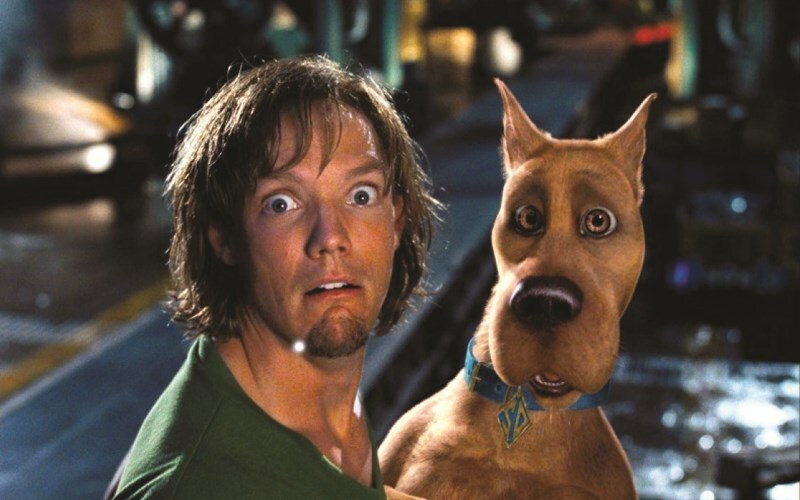 In Scooby-Doo, after solving its latest case involving a beleaguered toy company owner, the group fractures, despite the pleas of Shaggy and Scooby. Two years later, they are reunited at Spooky Island, a theme park and teen spring break destination that the owner claims is plagued with ghosts. Suspicious as usual of any claims involving the paranormal, the Mystery Inc. clan is soon probing a scheme involving ancient rites, summoned spirits, and brainwashed college students, forcing the group members to resolve their differences and uncover the truth. In Scooby-Doo 2: Monsters Unleashed, Scooby and the gang lose their cool--and their stellar reputation--when an anonymous masked villain wreaks mayhem on the city of Coolsville with a monster machine that re-creates classic Mystery Inc. foes. Under pressure from relentless reporter Heather Jasper-Howe and the terrified citizens of Coolsville, the gang launnches an investigation into the mysterious monster outbreak that leaves Shaggy and Scooby questioning their roles in Mystery Inc. The ever-ravenous duo, determined to prove they're great detectives, don a series of far-out disguises in their search for clues. Meanwhile, brainy Velma becomes smitten with a key suspect, Coolsonian Museum curator Patrick Wisely, as macho leader Fred and image-conscious Daphne attempt to determine the identity of the Evil Masked Figure who is unleashing the monsters in an attempt to take over Coolsville.